Instead of owning up to his actions victor decides to hide from the monster. He said "I felt horror, I felt the bitterness of disappointment." Victor created a monster and felt a big relief when he came back to his apartment to find the creature had left. The creature had to learn everything by himself because Victor abandoned him and he was to hideous to go to anyone else for help. The creature was responsible for himself and to take care of himself. He said " Have made me what I am." That just means that he is now educated to some degree because he observed other humans and picked up on things. The creatures creator Victor has yet to still own up to what he has created. The creature took responsibility on his part to survive. In this picture it shows Victor and the creature meeting again for the first time since the creature left the apartment. Victor says "the figure of a man, at some distance, advancing towards me with superhuman speed." This shows Victor happy about his creation and he was not afraid then. "I might in process of time (although I now found it impossible) renew life where death had apparently devoted the body to corruption." 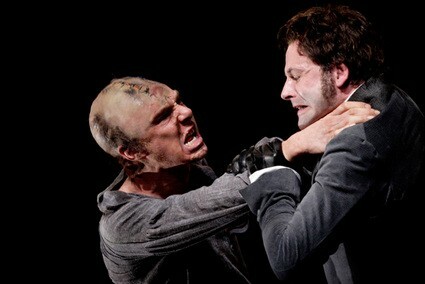 The creature is angry at victor for creating him so he bumped into his brother and killed him. Victor had found out that this guy was Victors little brother and strangled him. 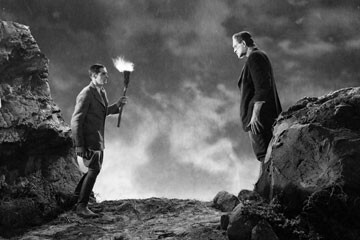 "When William mentions that his father is Alphonse Frankenstein the monster erupts of rage." Today in this world we go through all these 3 categories daily. For responsibility for instance is like raising a baby. You cannot just up and leave a baby you love and care for it. When Victor created the monster that was like his child he abandoned. 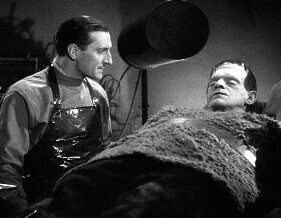 Friendship is a little different in this case because the friendship the monster has is like basically with himself. He may feel a connection to the cottagers but as soon as they saw him they packed up their stuff and left. For modern day friendship we actually communicate with each other face to face. If we were like the creature we would be called stalkers. For knowledge the creature was very intelligent for watching and observing humans and picking up on their skill sets. Its kind of like when we are toddlers we observe and start slow. We use all of these every single day.